Expecting to take a Probation Officer civil service exam? You can improve your exam potential through test preparation. JobTestPrep offers an affordable and comprehensive Probation Officer test preparation pack geared for your success. Start practicing today. What Is the Probation Officer Test? 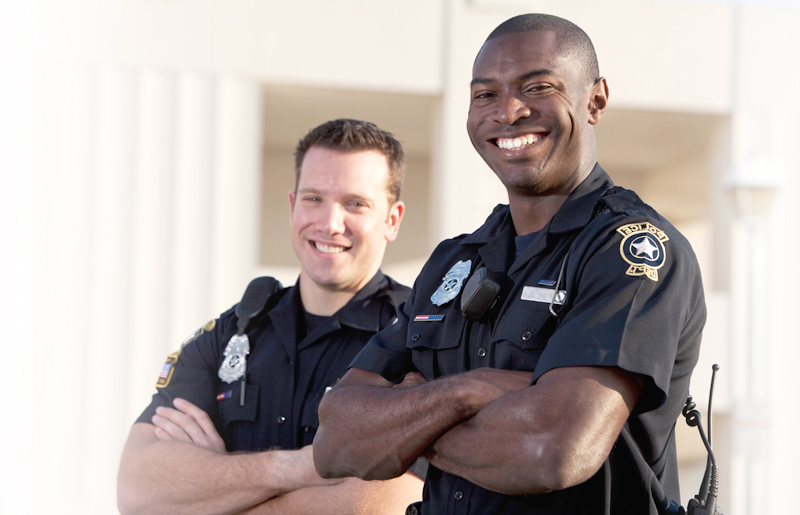 You must pass a test to become a Probation/Parole Officer. The duties of a Probation Officer are to work with individuals who are serving probation instead of jail time. Part of the responsibilities of the job include keeping in contact with offenders and their families. You are also responsible for juggling deadlines enforced by the courts and ensuring that all terms of the offenders' probations are met, including drug testing. What Do Those Who Score High Receive? Those who score high on the exam increase their chances of becoming Probation Officers. There are over 100,00 Probation Officers in the U.S., and the average annual salary is $49,060. Some benefits of the job include paid vacation, sick leave, a pension, and health, dental, and life insurance coverage. The Probation Officer test consists of multiple sections, each assessing different skills required for the job. Each state provides a different exam. Becoming familiar with the type of exam you will take is an important part of your preparation. There are a variety of Probation Officers tests your state may choose from. For example, Georgia requires you to take the WorkKeys Applied Mathematics, Reading for Information, and Locating Information assessments. Other states may require you to take the CPS HR or PSI Probation Officer Test. Following Written Directions – This section assesses your ability to apply a set of rules to determine the correct action or solution for a problem. Problem Solving – This section assesses the ability to evaluate a set of facts and draw logical conclusions. Reading Comprehension – This section assesses the ability to read a passage and answer questions that may require identifying facts and details, interpreting information, or drawing conclusions. Writing Clarity/Written Communication – This section assesses the ability to recognize and use clear writing, avoiding writing problems that result in ambiguous or erroneous communication. Writing Detail – This section assesses the ability to evaluate written information and determine whether it provides a useful, detailed description of people or events. Accuracy with Forms and Coded Information – This section has two parts. In the first part, you must demonstrate your ability to check the accuracy of information coded in report forms compared to a written summary. In the second part, you must compare coded information to a brief list of information and determine whether the coded information matches any of the items on the list. Work Attitudes – This section is designed to measure attitudes about work-related situations and behavior, reflecting attributes like conscientiousness, confidence, handling work pressure, getting along with others, and integrity/trustworthiness. Probation and Parole Concepts – This section assesses your knowledge of areas required by the field of Probation and Parole, such as psychology, interpersonal skills, interviewing, case management, and criminal justice. Each Probation Officer test is different, and the sections listed above are just some of the sections you may encounter on a test. A general passing score is 70%. Each state has its own Probation Officer hiring process. The general hiring process consists of meeting basic requirements, including being a U.S. citizen, having a college degree, and being between the ages of 20–38. If you meet your state/agency requirements, you can submit an application. Once your application has been approved, you are required to take a written exam, along with a background check, a medical exam, and a psychological exam. Only after you pass all the exams will you be considered to take part in the training process. Practicing with sample tests, reviewing study guides, and absorbing helpful exam tips can help you to achieve a better testing attitude and stronger self-confidence. This will inevitably lead to a more successful exam experience on the Parole Officer test. You can increase your testing speed, gain a better understanding of the underlying focus of test questions, and become familiar with the types of questions you will encounter through preparation.